Disclosure: We were invited to experience the Fun House at Cross Roads Escape Games. All opinions are my own. I'm new to life as the mom of a tween. There are cell phones, and weird jokes, and prank calls, and the wanting to do things that are considered "cool". It's a whole new world, but it's fun to see JT with his friends and how they interact and to try and find things that they think are awesome. So, when Cross Roads Escape Games approached me about coming in to try out The Fun House - Kids escape room I knew that I would score major cool mom points with JT and his friends. 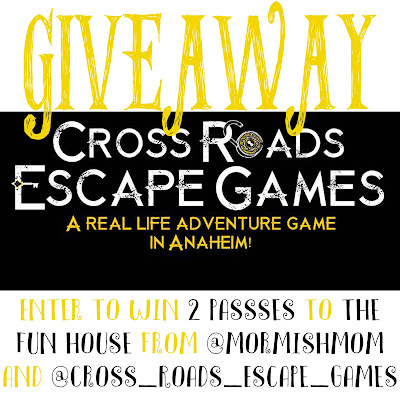 Cross Roads Escape Games opened in Anaheim, California in January 2016 and was just voted the #3 escape room in the nation in USA Today. 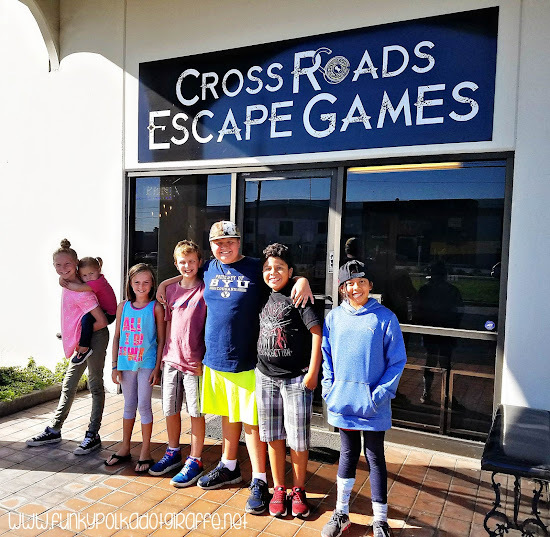 They are open year round and currently feature two different escape games at their location. 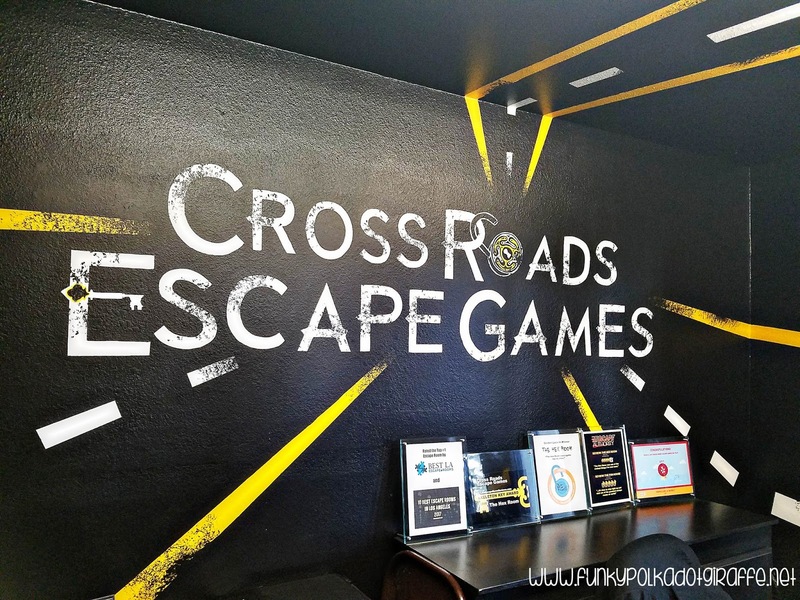 What makes Cross Roads unique is the fact that owners Madison and Luke Rhoades are escape room fanatics who have played over 150 escape rooms themselves. 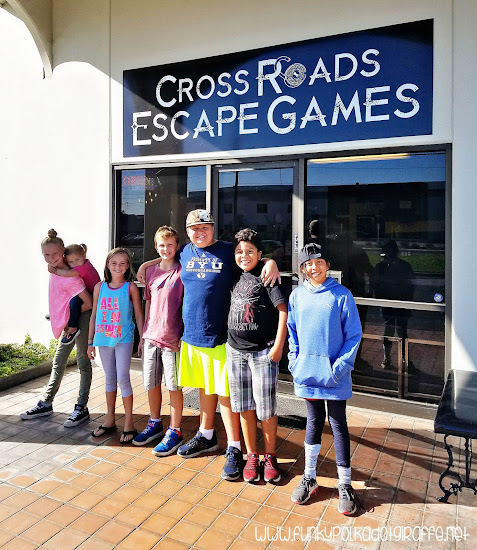 Their backgrounds in theater and haunting allowed them to create the next generation of escape games that are highly immersive and are sure to impress new players as well as escape game enthusiasts like themselves. This was my first experience in an escape game and I was so excited to go. I was even more excited that they had a kids version of The Fun House so that I could experience it with JT and his tween friends. 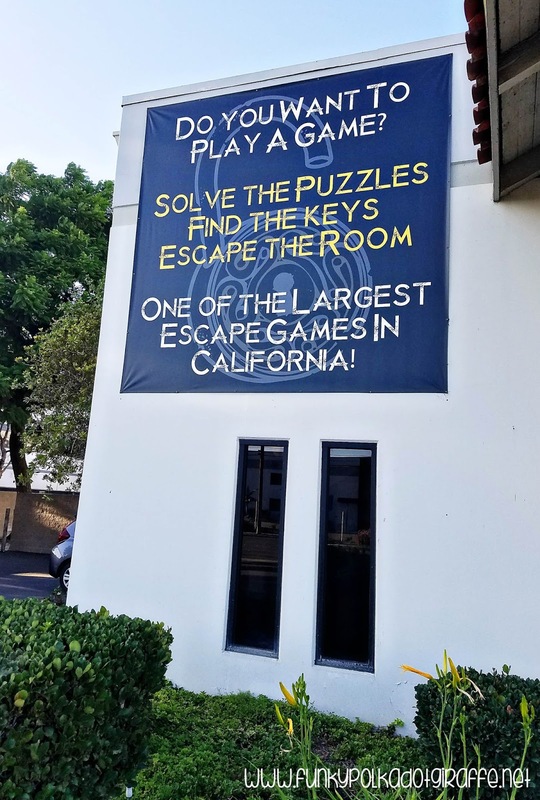 And let's be honest, I was worried that I wouldn't be able to escape and I was hoping the kids version would be just a little easier for my first experience (fingers crossed!). 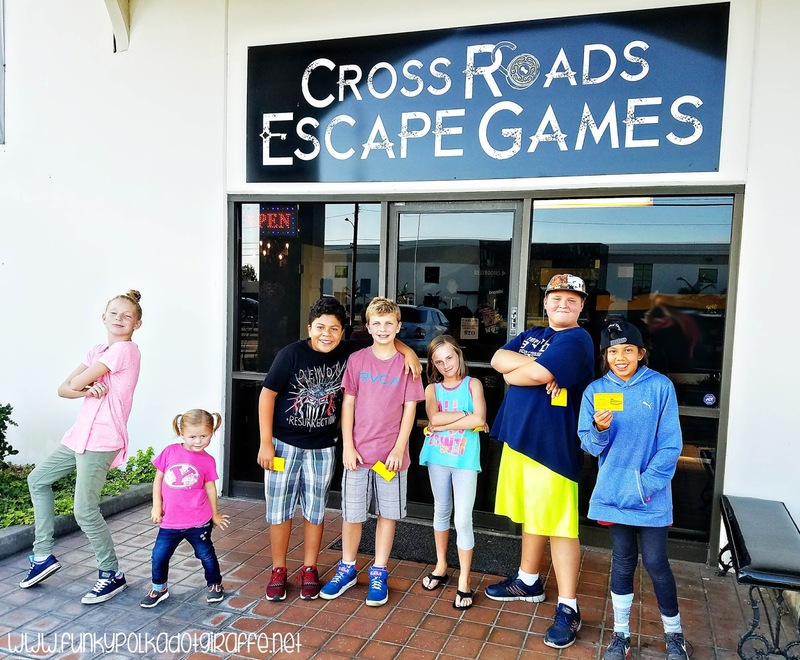 We were asked to arrive at Cross Roads Escape Games at least 15 minutes before our scheduled start time to make sure everyone had signed a waiver and to get instructions before our game began. Everyone 13 and under has to have the waiver signed by a parent or guardian to be able to participate. You can find a link to the waiver on their website and you can print the waiver at home and have it signed beforehand if you are bringing kids that aren't your own. One big tip - especially if you are taking kids - is to make sure that everyone uses the restroom before your game starts! Because once you're locked in your game room, that's it, there's no restroom inside the game and if anyone leaves the game - it's over! The kids warmed up with a little puzzle in the waiting room. 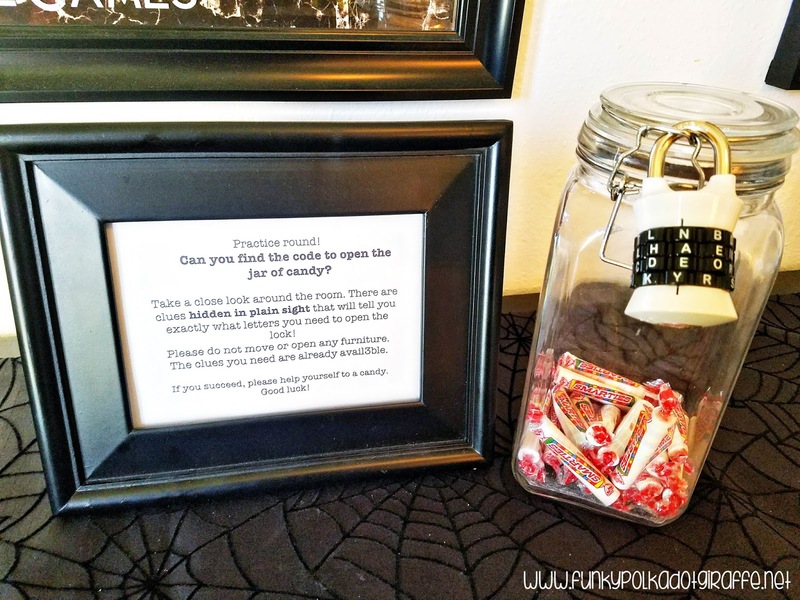 I thought this was such a great idea! The kids were motivated to unlock the jar to get the candy and it got them in the puzzle solving mode. Once our waivers were signed, everyone used the restroom, and they had solved the mini-puzzle, we headed in for some game instruction. There are lockers for you to lock your phones and personal items up in during your game. As a smart phone addict that loves to take a million pictures of everything, I was sad to leave my phone behind at first. 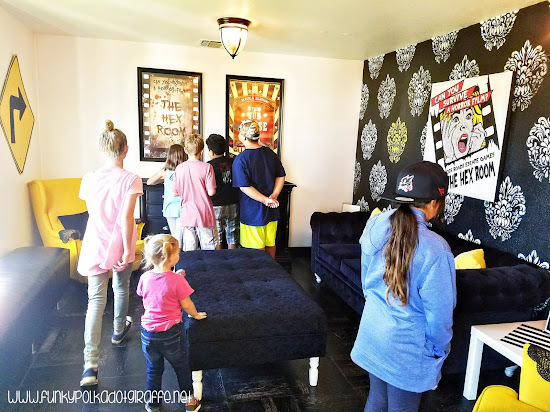 However, once we got into the room it was really freeing not to have to worry about pictures and just focus on solving the puzzles and getting OUT OF THE ROOM! 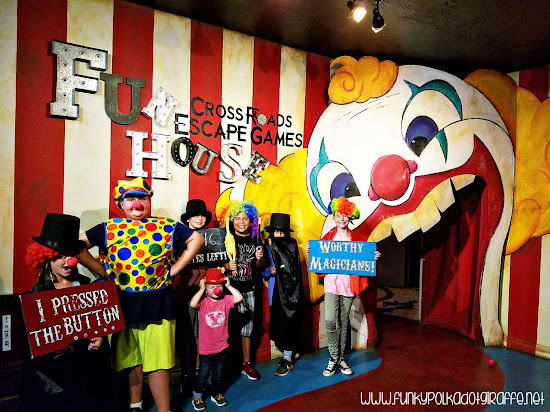 We had a blast in The Fun House! We solved all the puzzles and made it out with 6:16 left on the clock. Each game at Cross Roads is 60 minutes and you'll need it!! I was worried when the clock got down to about 10 minutes remaining we weren't going to make it out. The kids were less organized, started doing their own thing, and weren't communicating as well as they had been at the beginning. However, they rallied and with a little help from the game master were able to pull it together and make it out. They all loved it! JT said that he and his friends can't wait until they are 16 and can come back and do The Hex Room. Cross Roads is also currently has a 3rd room in the works called The Psych Ward. Be sure to like them on Facebook and their blog to get updates about when this new escape game will open. I love me some creepy, so I think it would be fun to come back for a GNO and do The Hex Room with friends sometime soon! I'm so excited to be giving away TWO TICKETS TO THE FUN HOUSE to one lucky winner! It's easy to enter. Use the Rafflecopter widget below to enter! Good luck!